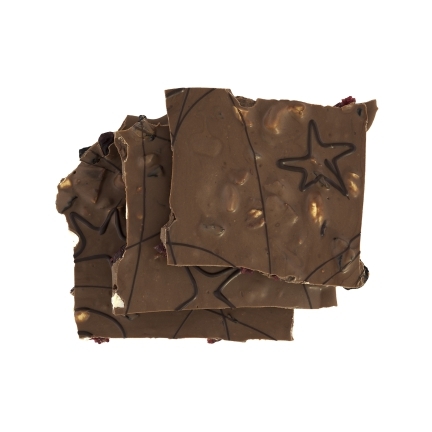 Sundried Cranberries and Blueberries combined with freshly toasted Pecans and Cashews in a sheet of Belgian Chocolate. Available in Dark, Milk or White Chocolate. Each bag contains approximately 100g.